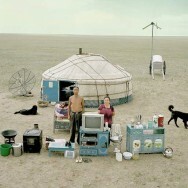 It’s Fashion week time again. 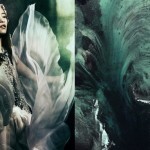 While it’s always a pleasure to see the designer’s creations for the upcoming season and learn inspirations behind them, one of the things that fascinates us as well are the mere invitations to fashion shows. 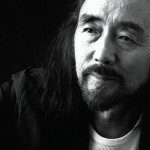 I believe a complete image of the fashion collection is not just a presented set of clothing and accessories, but everything that surrounds the collection in communicating it to the public; fashion catalogues, fashion campaigns, fashion music collections / playlists… and some of our favorites are – in terms of expectations of innovative graphic design – fashion invitations. 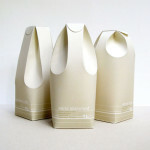 Some of our favorite invitations to fashion shows for Men SS 2011 these year we show below. 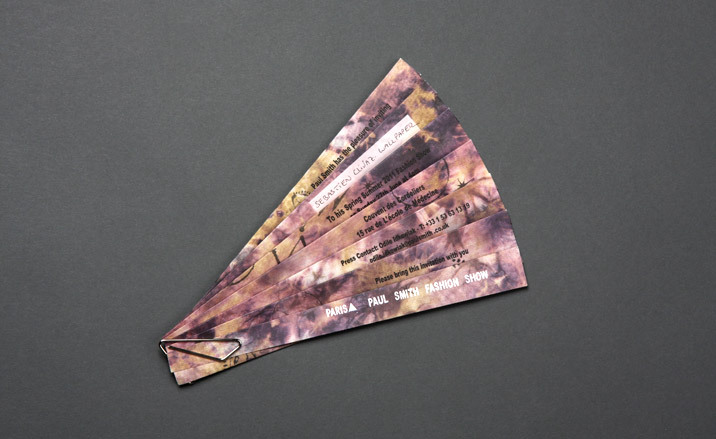 We love Comme des Garçons Junya Watanabe’s invitation with navy blue stripes; always inspiring Yoshji Yamamoto‘s invitations, this time in the form of a plastic white bow; and Paul Smith‘s fan shaped invite. 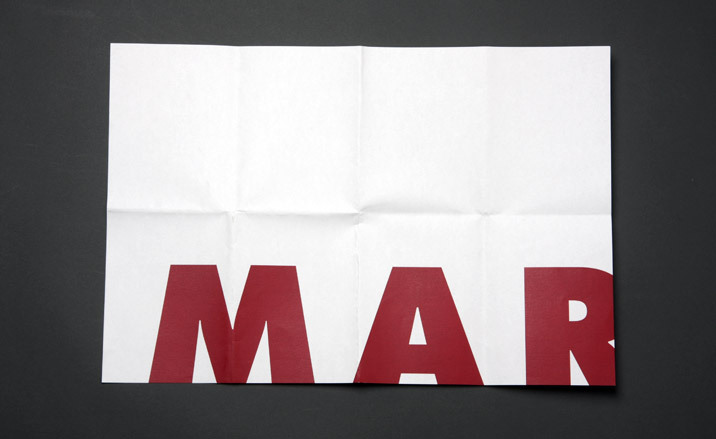 But our favorite this year is the invitation by Maison Martin Margiela, in a shape of an acrylic stencil ruler, which set the tone of a geometrical show. This kind of rulers were my favorite ‘toy’ when in elementary school, drawing full letters, and ‘designing’ objects of unknown name and innovative geometrical shapes. What else we noticed? 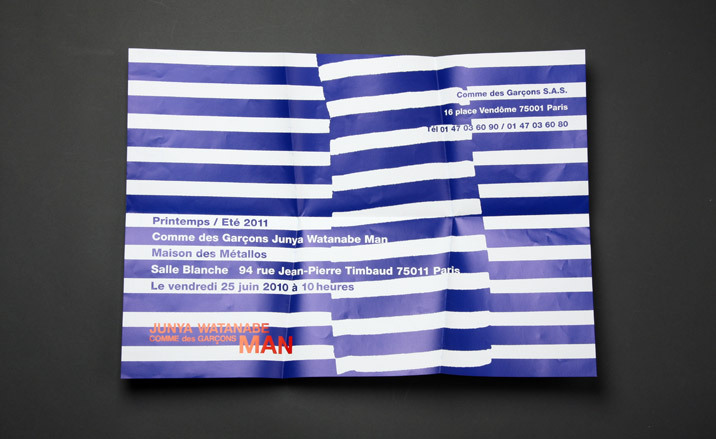 Hand written fashion invitations with personal signature of the designer(s) (by Victor & Rolf, Dolce & Gabbana), graphic prints (by Versace, Givenchy) and bold typeface (Marni, Prada – see Prada collection Men SS 2011 here), and some extraordinary invitations, as mentioned above. 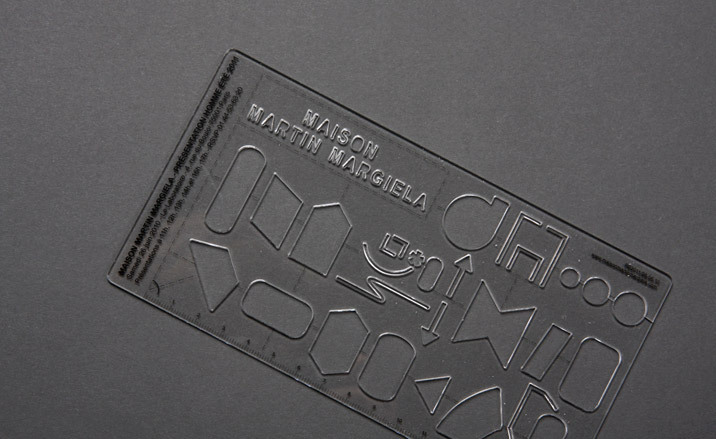 _Maison Martin Margiela’s acrylic stencil ruler invitation. 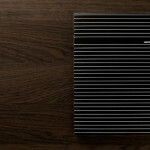 _Comme des Garçons Junya Watanabe Man navy blue striped invitation. 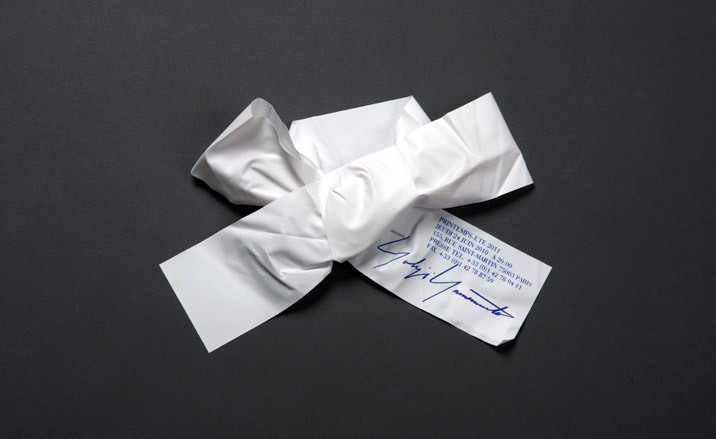 _Yohji Yamamoto invitation printed on a plastic white bow. 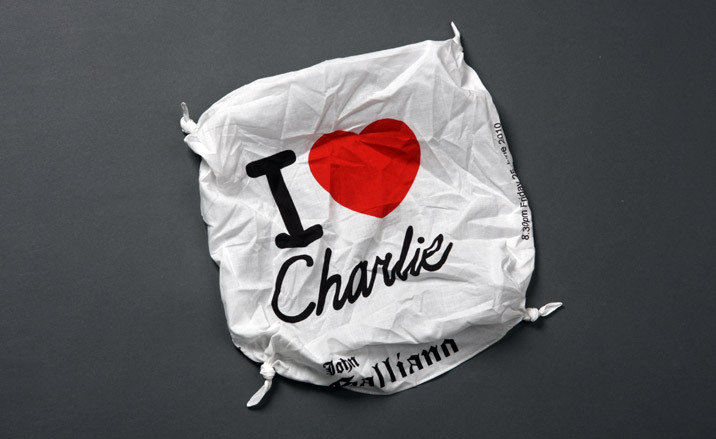 _John Galliano‘s invitation as a handkerchief hat, which declared Galliano’s love for his show inspiration: Charlie Chaplin. 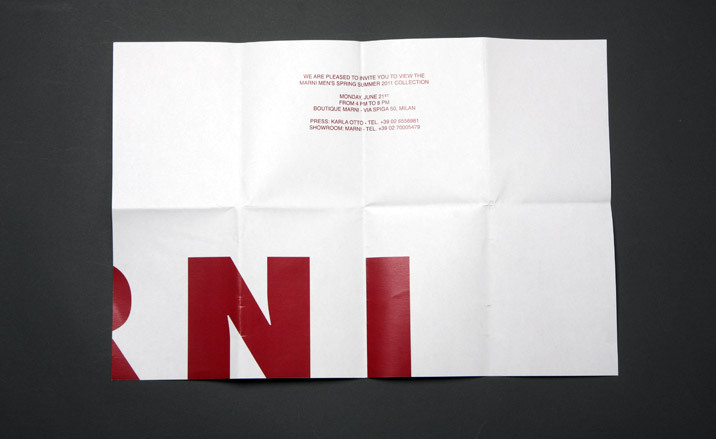 _Marni’s invitation with bold red fonts covering both sides of the invitation. 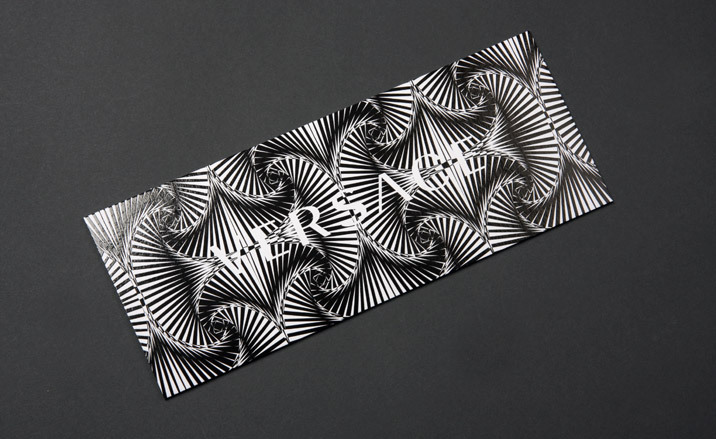 _Versace’s graphic black & white invitation. 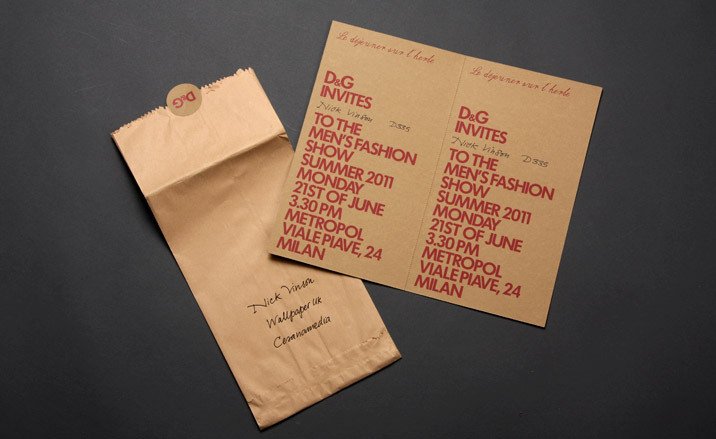 _D&G’s invitation came in a brown bag. 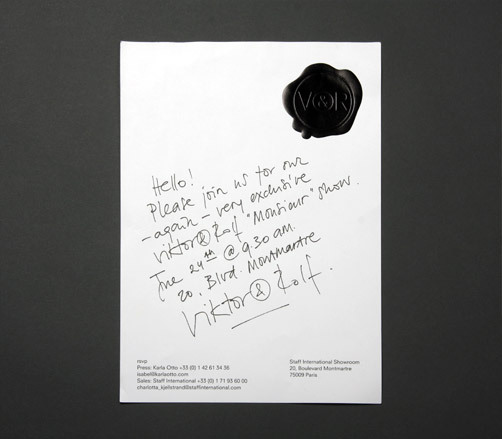 _Hand written invitation by Victor & Rolf. 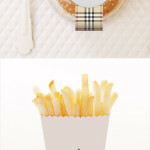 ← Older: It’s a Beat! “If you’re in search of inspiration, this notepad might help.” says the headline on Inspiration Pad’s website. 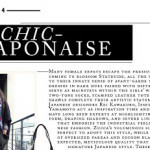 This is nice information on fashion rule. This is very helpful.